Shattering the Illusion of Reality. A Separate reality by Carlos Castaneda based on the teachings of Don Juan. A couple of years ago, I watched a video by Cristobal Vila called Nature By Numbers. The short film was awesome, but it turned my perception of the natural world upside down, by showing that nature is nothing more than an animated mathematical construct. From then on, even though I could marvel at the breathtaking beauty of nature in all its forms, it did not hold the same magical quality and wonder it had before my revelation. The understanding that creation is mechanized was a spiritual disappointment for me at the time, and for a while after, but it has led to a new beauty and astonishment. A greater understanding of my place in the scheme of things. I don’t have a place and I am not in the scheme of things. The creation according to the scriptures. In Genesis1 we read that god created heaven and earth ‘without form and void’. In Genesis 2 v 5 we read that god created every plant of the field before it grew for he had not caused it to rain upon the earth. This implies that god created the archetypal ideas of all living things before they were made manifest. He created everything from seed bearing plants to whales, after their kind. ‘Their kind’ refers to the different genetic blueprints that create the diversity of nature. All these blueprints are based on the Golden Ratio and the Fibonacci spiral, and are made of combinations of DNA fields called ‘ archetypes’, and there is one energetic blueprint for each species. It’s hard to wrap your head around that animals, flowers, trees, mountains and galaxies and universe…even our bodies are nothing more than self-replicating fractals of an interactive biological software programme. 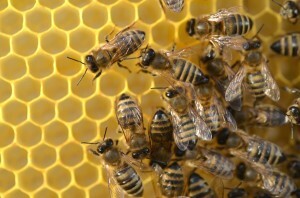 All animals have group souls [the hive mentality] and this is easily demonstrated in a bee hive, and the migration patterns of wildlife. Every year, swallows leave Africa for Europe in April, and return again to Africa in September. If we can imagine the swallow archetype as a hand, and the swallows as its fingers, it follows, that when the archetype thinks from Africa to England, [moves its hand], all the swallows move with the programme. None of the swallows are aware of why they’re flying great distances. Many die on the way. The birds are on auto pilot following electromagnetic grid lines hardwired into their software. Their construct is geometric but their essence, their life power, is divine. There are many examples of group souls that we see around us. Migrating birds travel in perfect formation just as schools of fish do in the ocean. Each turn is made with absolute precision, for in reality there is only one mind for each species, and they are all subject to the archetypes direction, even though they may appear to act independently. I have firsthand knowledge of this communion with the group soul of animals, and I know that many of you have experienced the ‘oneness’ of establishing this spiritual connection. Archetypes of all creatures including ourselves are built to precise mathematical proportions. The Golden Proportion or Phi has many names. The Golden Ratio, the Golden Mean and the Divine Proportion. Together with the Fibonacci sequence they are the geometric building blocks of all life. 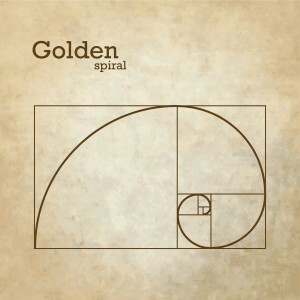 The Golden ratio and the Fibonacci spiral occur everywhere in nature: in the spirals of DNA and in the dimensions of the earth and moon and planets. No matter where we look we see fractal geometry. An interesting example of fractal geometry is the human finger. A finger has three joints and is a fractal of our arm which also has three joints; and so it goes, big or small, from a virus to the universe—repetitive fractal patterning is the same. Nothing is random in nature, and nothing happens by chance. The trees and shrubs in woodland make look random but they are not. Each tree according to its kind has sequences of leaves and branches based on the Fibonacci sequence. The fact that our bodies, and that of animals, birds, fish, insects, micro-organisms, plants and trees are all shaped by specific mathematical formula shows that they have been specially created, each species having its own proportions based on the Golden ration and the Fibonacci sequence. 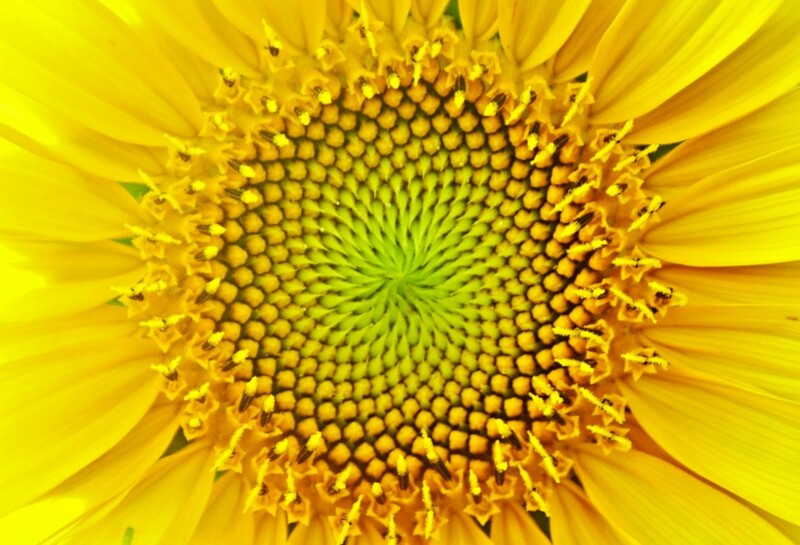 The seeds of the sunflower are arranged in a left hand and right hand spiral according to the Fibonacci sequence. 21/34, 34/55 and 55/89 . To think these complicated mathematical formulae created themselves by natural selection is ridiculous. Although minor adaptations evolve through necessity, the original blueprint of all species was created by’ someone’ or something. No doubt this is the handy work of the little god of Genesis 1 that made all living things after their kind and in the process created a geometric prison for all life called the Third Dimension. Is this the predator that Don Juan talks about? Technology today is able to clone living things and create bodies[biological software programmes] in laboratories. Knowing the fractal DNA sequence of living things is a step on the road to being able to implant this software onto other planets, even if the surface has to be geo-engineered to support life. This may be the reason for the two creation stories in Genesis. The little god made the programme of Earth and all its creatures, before he created Adam and Eve. I think that this’ little self-appointed god’ had already tinkered with the physical form of a multi-dimensional hermaphrodite being and split it into two sexes: ‘male and female he created them’. The splitting of the sexes would have immediately created the third dimension of Duality and the ‘Fall’ of man. The Oneness of everything had been split in two. In my last post ‘Nature’s Priest’, we were introduced to the idea that mankind’s missing 90% DNA was the natural world and, that because of genetic manipulation, this vast amount of information, being unavailable internally was projected outside of ourselves. I think it is possible, that this unavailable reservoir of energy animates all replicating fractals of the natural world. Again we come back to the profound statement: That Art Thou. The duality of the geometric trap sets mankind up for lifetimes of imprisonment in the programme of birth/death, love/hate, ad infinitum. Every act we commit, carries either a positive or negative charge and, because of our ‘inherited’ dinosaur brain, it is almost impossible to lead a life of love and harmlessness. We have to kill to live! And so, we transgress the Law of Love and create a negative charge and, as a result of polarity we get stuck in the third dimension, life after life, trying to balance the books–and become a constant supply of emotional food for our creator. The first step in smashing the programme in ourselves, is to understand that we are indeed living in a geometric prison and with observation, we can see the evidence all around us. The little I, the ego doesn’t have a clue about any of this programme stuff and neither does it care,–but our true self knows and once awake, the frightening nature of this knowledge leaves us no choice but to become a spiritual warrior and open our consciousness to all possibility. Smashing the programme of duality within ourselves is our own undertaking and a lonely road to tread. No priest, or bishop, or guru can smash the programme of duality, or even tell us how. We alone can break the conditioning of ages and rise through the Heartfield to the Fourth Dimension–and we are doing it. There is a wonderful book called The Kybalion for any of you who wish to learn the wisdom of The Three Initiates. Our highest truths are but half-truths; Think not to settle down forever in any truth. Make use of it as a tent in which to pass a summer’s night, But build no house of it, or it will be your tomb. Earl Balfour. 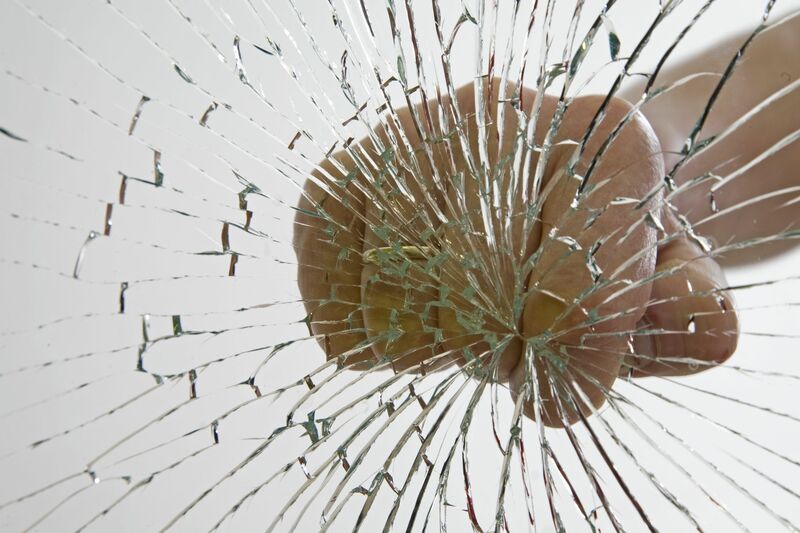 4 Responses to Shattering the Illusion of Reality. Smash, smash, smashing. Love, health, and peace. Whether he is correct or not I do not know, but it is interesting speculation. Robert Monroe never escaped the Construct, he turned back when he reached the border zone. See Ultimate Journey. Clif High calls it the Wall. It is wrenching when you realise Nature is a construct and so are we. It is no wonder we need fluffy bunnies in order to help us feel safe. In Speilberg’s film A.I. we are the artificial intelligence. Researching the Flat Earth theory is another wrench, but it has encouraged me to read Mircea Eliade’s Shamanism: Archaic Techniques of Ecstasy again. There is a quote in the 2001 film ‘Thirteen Ghosts’: This is a machine designed by the devil and powered by the souls of the dead. There are many ancient legends of the moon being a boat that carries souls to the sun, which may very well be a co-opted portal. It may also resemble honey comb, being a birthing place of fresh souls or energetic signatures. In the midst of maya anything goes. As Joseph Farrell says, ‘you pays your money and takes your pick’. Manly P. Hall has some very interesting information on the moon. He considers the moon to have a negative effect on human beings, and says if there is a place where things are immortal you can bet there is no moon.